Shamrocks have become the symbol of the Irish and of St. Patrick’s Day. 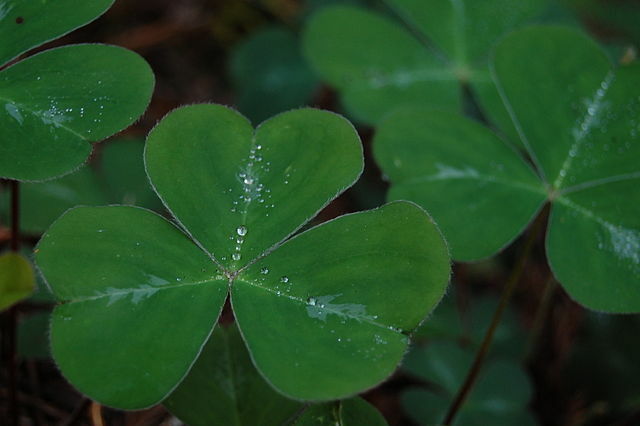 In the United States hundred of thousands of shamrock plants will be given to families and children in celebration of Leprechauns and green beer (ewww). But while some may consider shamrocks lucky – who doesn’t feel lucky when they find a four-leafed clover – they aren’t so lucky for small pets and grazing livestock. And that’s because shamrocks, or more specifically those of the Oxalis genus, contain the chemical oxalic acid. 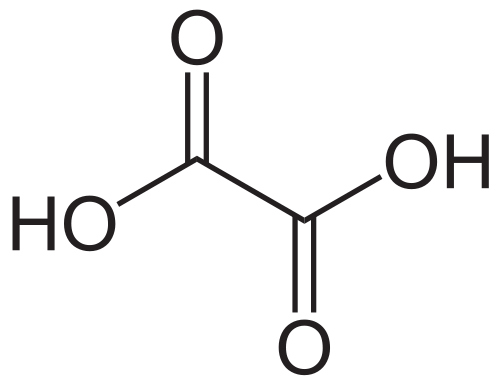 When oxalic acid is ingested via shamrocks, it binds (chelates) with your body’s calcium and forms calcium oxalate. Calcium oxalate then precipitates and crystals accumulate in the kidneys. This is a bad thing, and in humans at autopsy, a sure sign of poisoning . Chronic exposure leads to painful kidney stones and a trip to the Doctor. Consequences of acute poisoning are metabolic acidosis, acute renal (kidney) failure, and even death. This is the same type of poisoning that occurs when people, or pets, ingest antifreeze. Other plants high in oxalic acid are rhubarb, spinach and parsley. If your shamrock is chewed to the ground and your pet exhibits these symptoms, call your veterinarian or pet urgent care facility. And may the luck of the Irish be with you. Happy St. Patrick’s day! Tags: oxalic acid, poison, shamrock. Bookmark the permalink. Previous post ← Ibogaine: A Cure for Addiction?